When you are in need of on location senior care support, Value Care will match you with better qualified caregivers. 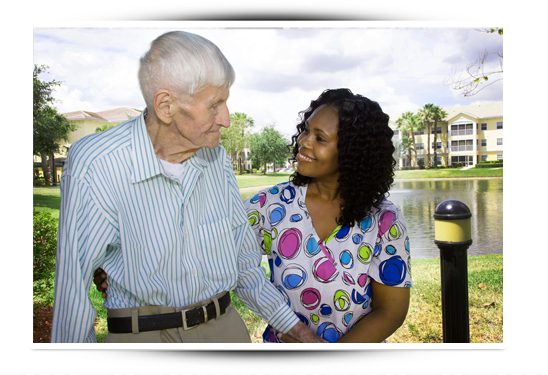 We thoroughly screen all professional caregiver’s backgrounds, certifications, and qualifications. Beyond that, we meet with them in person to test their experience, transfer techniques and communication skills. This is an integral part of our FIVE STAR PROMISE which enables us to recommend excellent senior care solutions across Florida. At Value Care we believe that our clients deserve More Help with Less Worry, which is why we screen the caregivers we refer so stringently. We understand that finding competent care for seniors is a stressful process… so we handle it for you. Value Care’s focus on keeping overhead low results in savings of 25% or more off average industry prices. We enable clients and their caregivers to create their own relationships and schedules. Whether you are looking for care around the clock, or simply a senior helper who can help out a few times a week, we will find you a caregiver that fit your needs and budget. We go the extra mile so that our clients are satisfied, starting with our First Day Satisfaction GUARANTEE. We enable clients and their caregivers to create their own relationships and schedules. Value Care’s focus on keeping overhead low results in savings of 25% or more off average industry prices. Whether you are looking for care around the clock, or simply a senior helper who can help out a few times a week, we will find you a caregiver that fit your needs and budget. The caregivers we refer will come to you where you are and when you need them. If you or a loved one needs senior care at home, an independent living facility, a hospital, or other facility, we will find a senior care solution for you. Personal care; feeding, bathing, dressing, etc. Errand assistance; transportation around town to meet friends, go shopping, and more. Homemaking help; cleaning and organizing, pet care, and other chores around the house. Companionship; someone you can talk to who genuinely cares.